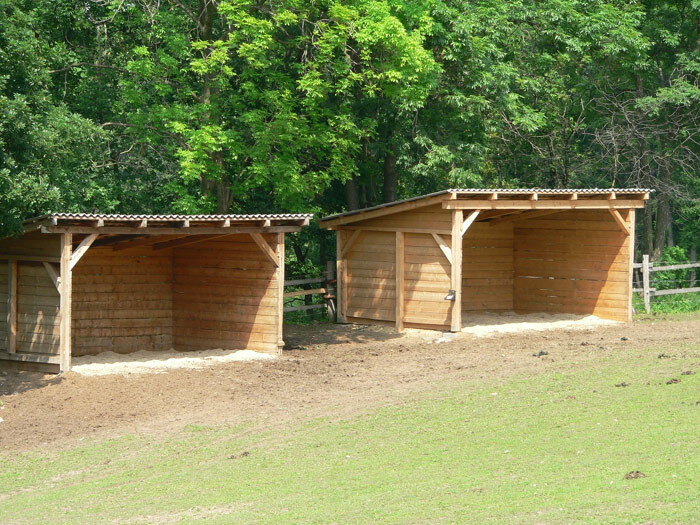 Our customers can choose between the traditional stabling in the box and the pasture stabling in the spirit of the natural breeding. That is also what we prefer. Because in that case your horse can always choose what to do in its free time. And it really has many choices. Grazing – standing or lying. Running around the meadow, chasing the other members of the herd, enjoy the rolling in the dust or mud, just watching surroundings, and so on. 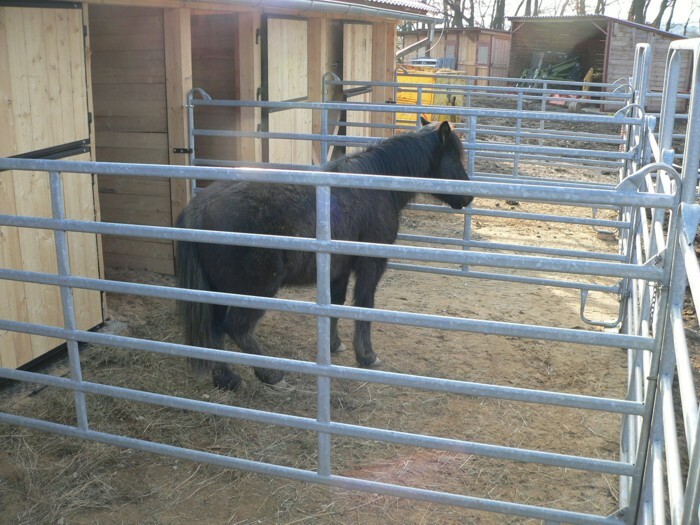 Box stabling also offer some choices because each box has its own smaller corral built up of galvanized separate parts with the dimension of 3 x 3.6 meters. The corrals are reinforced and drained. 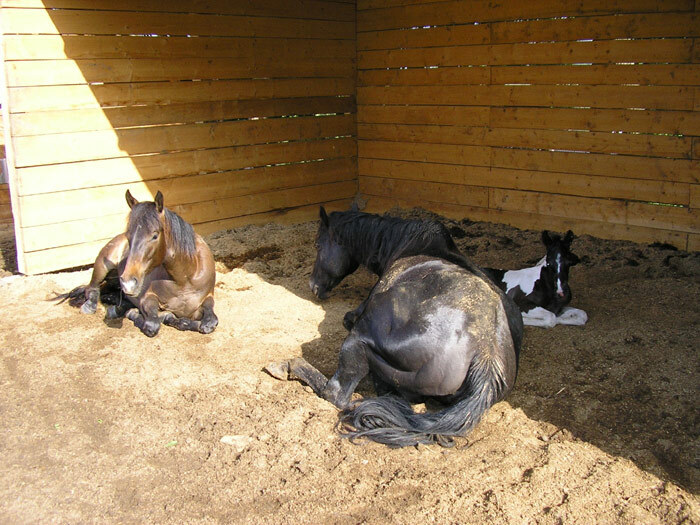 Your horse can choose whether it is better to be outdoors or rather remain inside. 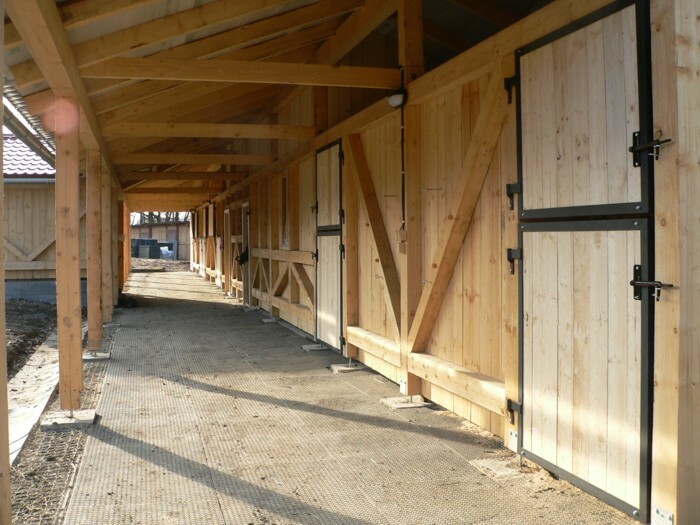 The boxes are in the new western-style wooden stables. There are 6 boxes with the dimension of 3 x 3,8 meters and they have own reinforced and drained corrals. All of them are well-aerated a equipped with the Driml automatic heated waterers. The floor is covered with the anti-slip panels of the 4cm thick recycled plastic, tthe panels are made specially for horse breeding. 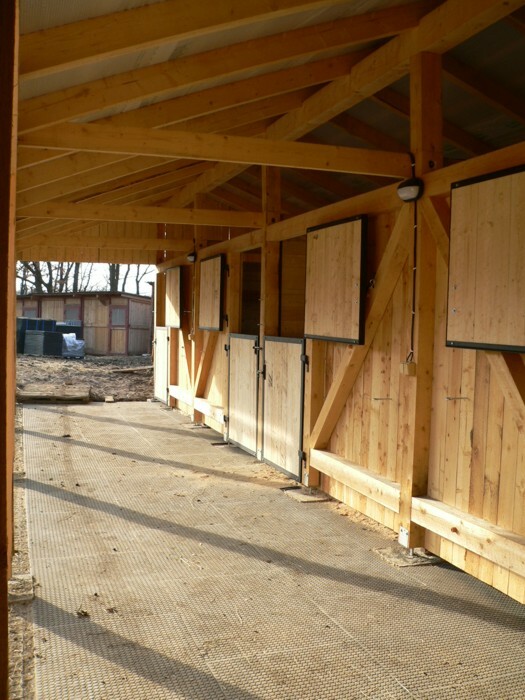 There is the covered space designed for the grooming and horse handling in bad weather. 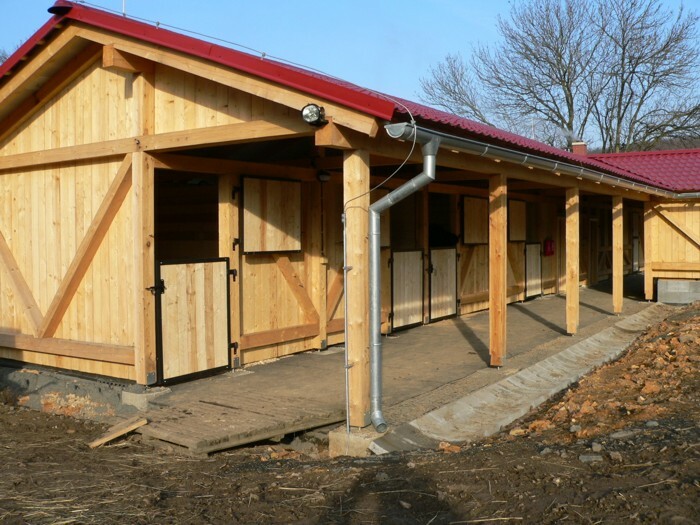 There are also the tack room, the bathroom and the small buffet for our customers. 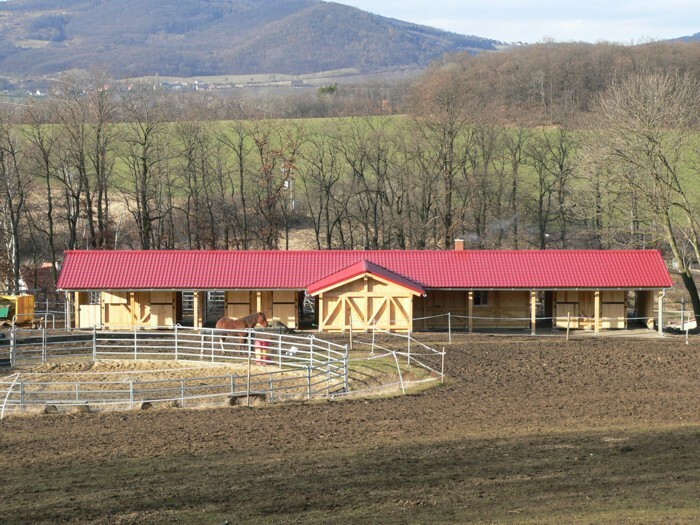 The price of the stabling on the pasture is CZK 4.000 per horse and month. Feeding the pellets twice a day, mineral lick and salt are included. We also give them first-rate meadow hay in the winter or in bad times. The hay is from the farm Farma Skalický in České Středohoří. The sheds as well as the corrals are kept comletely clean. 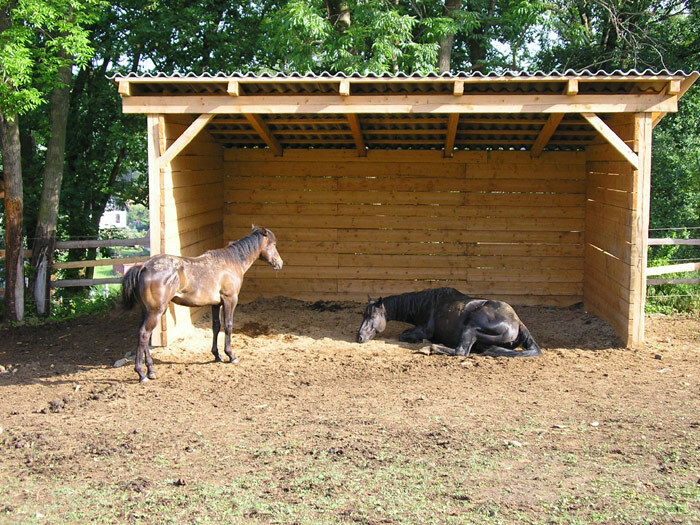 The price of the stabling in the box is CZK 4.000 per horse and month (the dimension of 3 x 3,8 m). 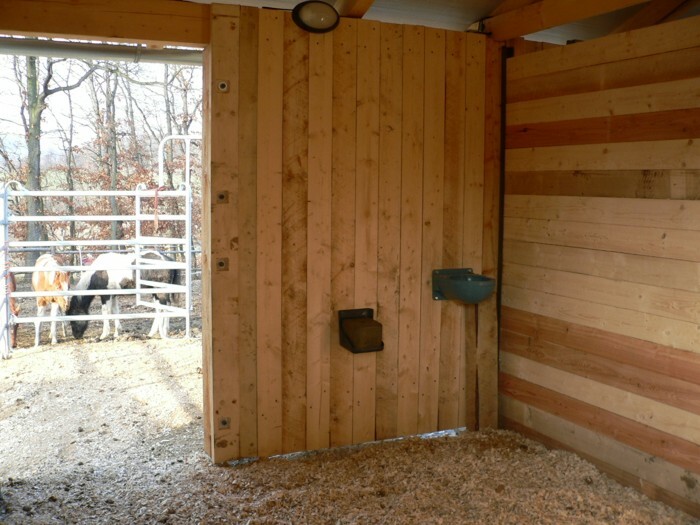 The box has a separate corral with the dimension of 3 x 3,6 m. Feeding the pellets twice a day, daily feed of hay (around 6 to 8 kg), mineral lick and salt are included. Mucking twice a day. Our goal is to ensure maximum satisfaction of our customers and especially their horses. Therefore, we prepared a wide range of additional services for you. 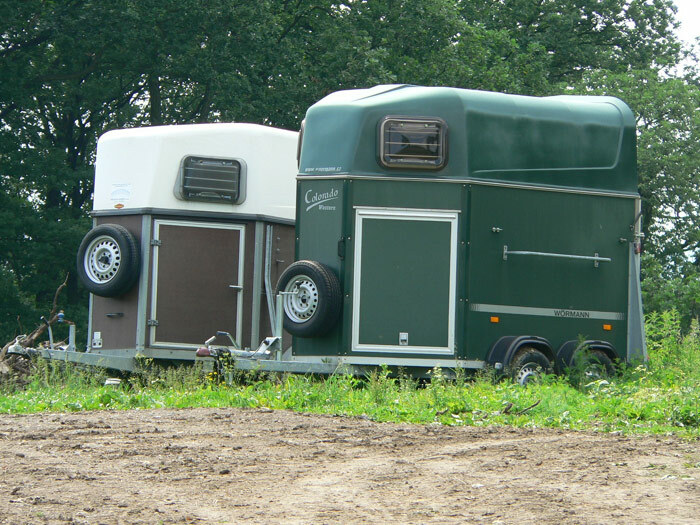 Try to calculate the cost of the stabling, including all your required services, using our prices calculator. 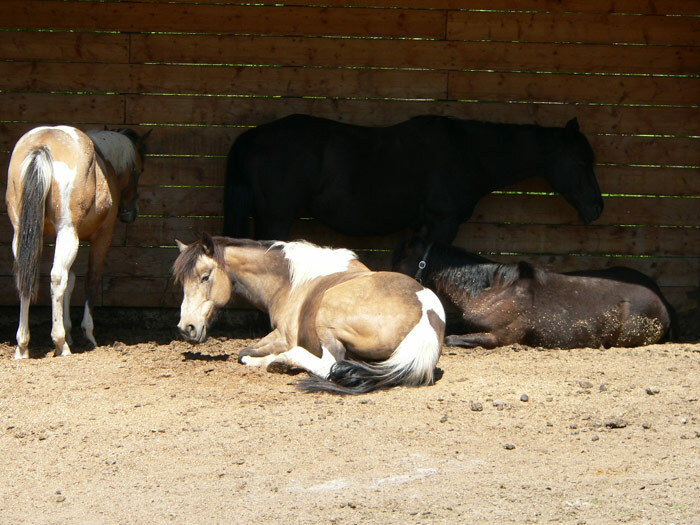 The shoeing and the veterinary care are not included in the price of stabling. Each horse owner pays these individually. MVDr. Petr Petráš gives a veterinary care to our animals if needed. 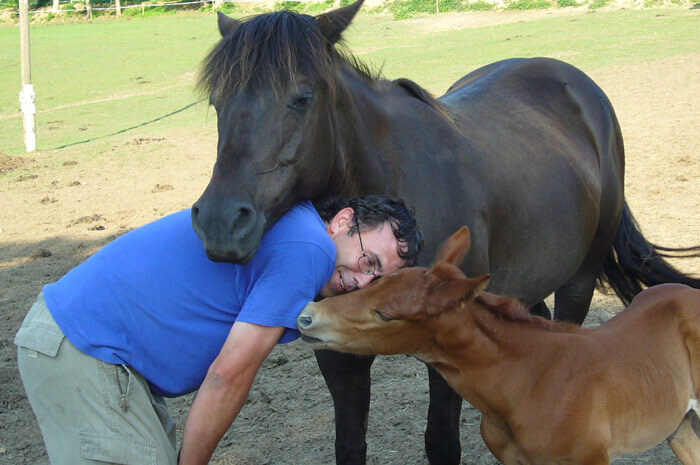 The farrier Radek Kubáč takes care of our horses' hooves. The farrier usually comes every six weeks. The horses are wormed every two months. As a horse owner you can get the training, the counselling, or the lunging of your horse at atractive prices. 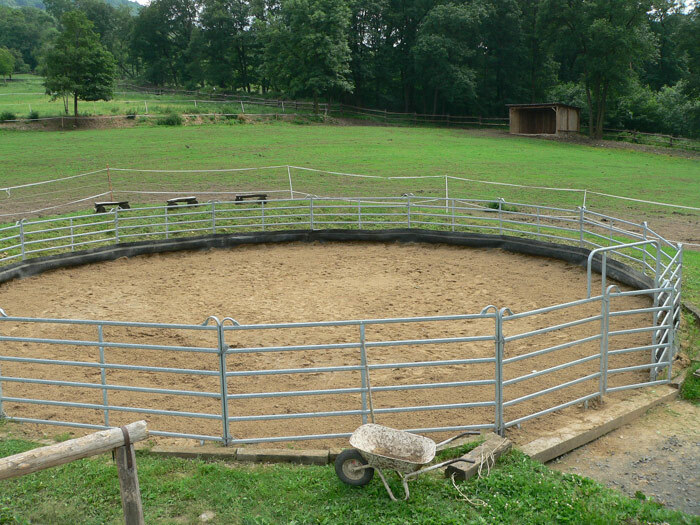 You can also use our round pen. Central Asian Shepherds guard our ranch 24 hours a day and the horses are under permanent supervision of the qualified keeper. If you are interested in our offer, contact or visit us on our address that you find at Contact Us. We can send you the standard stabling contract and operating rules if you wish.